At last! The long- awaited booklet of Laura's dance descriptions to accompany the Xenos CD Tutti Frutti. 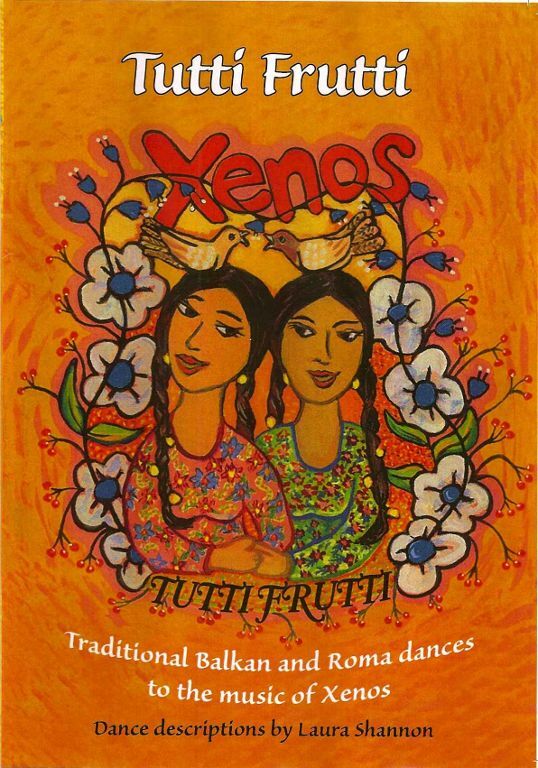 26 Balkan and Roma dances explained in a 40-page booklet which also includes Laura's article, 'Healing and Homecoming: Roma Dances as a Pathway to Joy'. In English, with German translations of articles and notation key. Cost € 6,- and can be ordered from Laura.